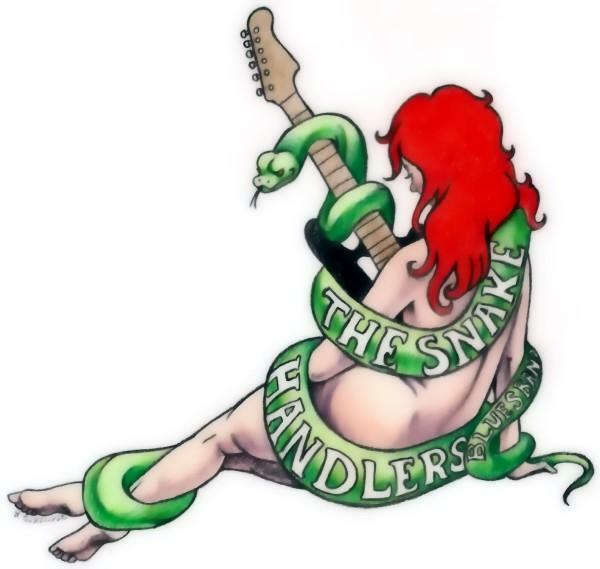 That's right, the new Snakehandlers CD was recorded at Indy's premiere studio The Pop Machine! We're back working with our favorite engineer Eric Lee Johnson and we couldn't be happier. Eric was behind the glass for the highly acclaimed four Sindacato recordings and this one is sure to turn more heads than a Linda Blair convention! Artist Suzanne Marie Lambert will be signing on to photography chores for the new CD. She has a great eye for capturing musicians at their best. Our musical brothers John Nugent and Gary Woodworth have graciously agreed to sit in on a couple tunes for the new project. You've probably seen these fellas joining in the fun at our live shows. Both great players. The Snakehandler's mascot is the marvelous work of Laura Parkhurst. Copyright 2010 & 2013&2015 Cadillac Scott and The Snakehandlers. All rights reserved.